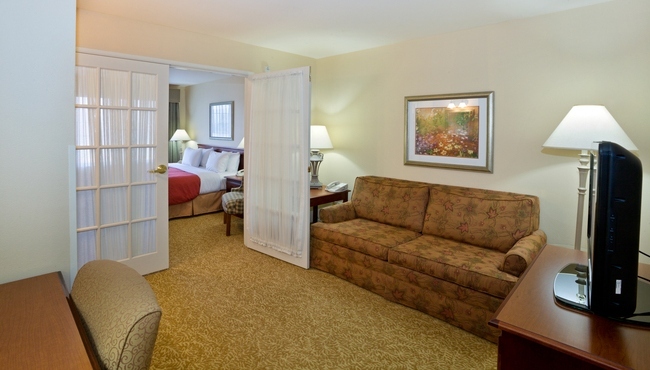 The Country Inn & Suites in Big Rapids makes it easy to travel as a family. 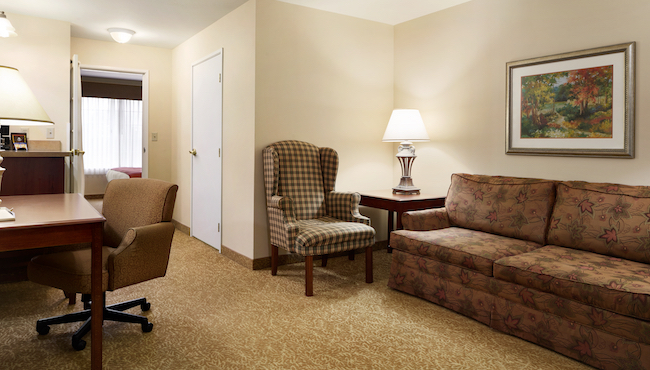 Book one of our One-bedroom Suites for extra space and privacy, and enjoy a separate living area with a sleeper sofa. Of course, you can always request two adjoining Standard Rooms, as well as rollaway beds and cribs for additional sleeping space. When it is time to wrap up the day, you can curl up in bed for a night of watching your 32-inch flat-screen HDTV or go to bed early and brew a fresh pot of coffee in the morning from the comfort of your room. 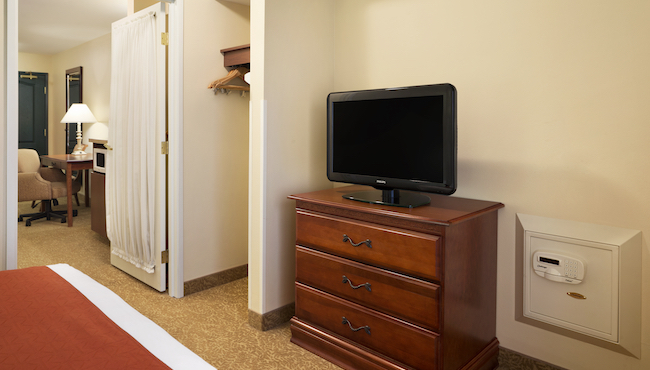 With plenty of great amenities like free high-speed Internet access and an in-room refrigerator, you might feel so at home at the Country Inn & Suites, Big Rapids that it’s hard to leave. Our hotel also offers FEMA-approved rooms. 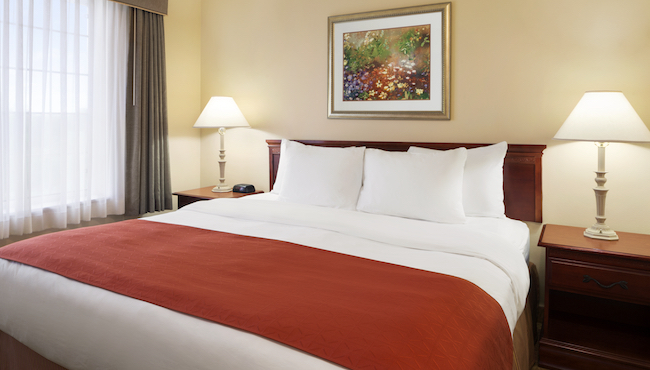 Every guest room at the Country Inn & Suites is equipped with either one king bed or two queen beds, warm décor and all standard amenities for your convenience. 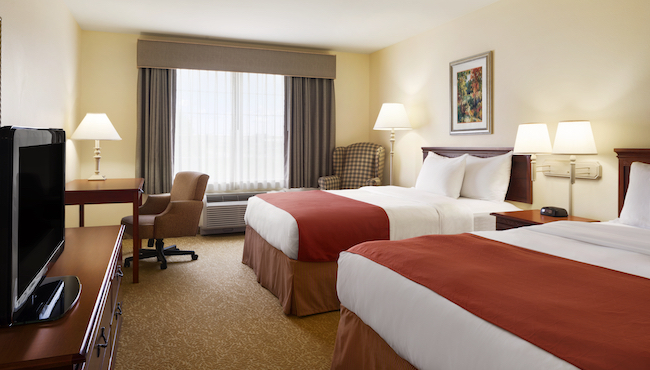 Choose between one king bed or two queen beds, and enjoy a separate living area with a sleeper sofa. 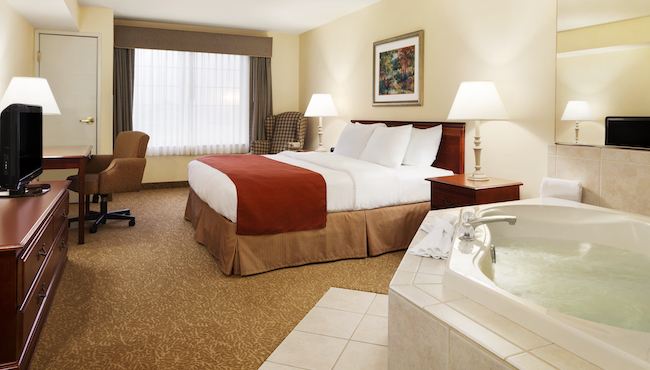 Slip into a two-person, in-room whirlpool when you check into your romantic Whirlpool Suite, featuring a plush king bed and all standard amenities.